The use of commonly prescribed antibiotic ear drops may increase the risk of a perforated eardrum after ear tube surgery, according to a new study by researchers at University of Florida Health. The study, published in the journal Clinical Infectious Diseases, compares the rates of eardrum perforations after use of two commonly used ear drops, quinolones and neomycin, following an ear tube surgery. Researchers from the UF colleges of Pharmacy and Medicine analyzed insurance data of nearly 100,000 children to identify eardrum perforations that require a costly surgical repair called tympanoplasty. UF researchers found that children receiving quinolone ear drops are 60 percent more likely to have eardrum perforations compared with children receiving neomycin ear drops. In addition, the study suggests that using quinolones together with steroids might further raise the risk of eardrum perforations. In recent years, quinolones have been under scrutiny because of their adverse effects on soft tissues and other issues. An advisory committee for the U.S. Food and Drug Administration concluded last year that the benefit of quinolones in certain instances might not outweigh the risks with their use. The committee also highlighted the need for understanding the safety of topical applications of quinolones on soft tissues, such as the ear. The UF researchers acknowledge that their study only demonstrates an association and doesn’t definitively prove that quinolone ear drops cause persistent perforation of the eardrum. Nonetheless, the researchers said the findings raise a concern. “Evidence on quinolones’ detrimental effects on soft tissues, animal studies, clinical trials and observational studies overwhelmingly point to the possibility that quinolones could contribute to the development of persistent eardrum perforations,” said Almut Winterstein, Ph.D., a professor and chair of the department of pharmaceutical outcomes and policy in the UF College of Pharmacy and co-author of the study. 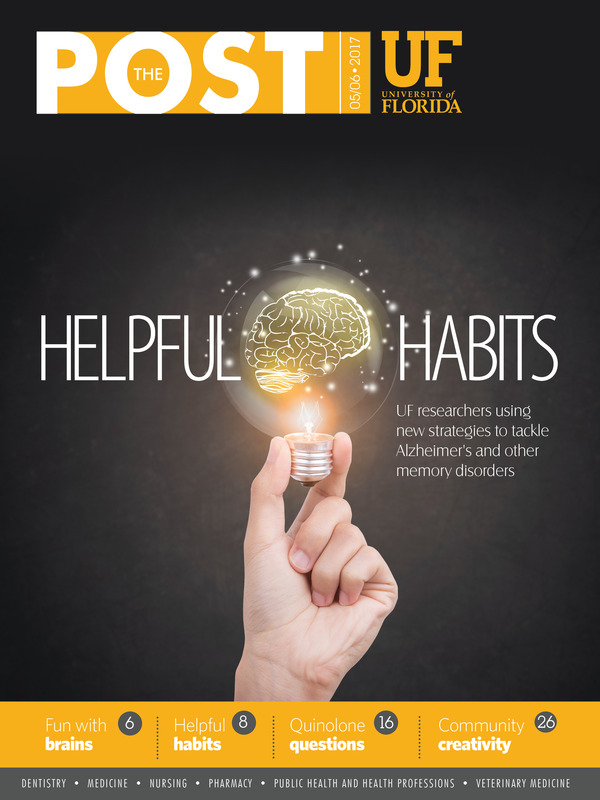 The study’s lead author, Adel Alrwisan, is a graduate student in the department of pharmaceutical outcomes and policy in the UF College of Pharmacy. Quinolones are more widely prescribed than the alternative antibiotic ear drop, neomycin, which has been known to cause hearing loss after repeated use. With safety concerns associated with both drugs, clinicians must weigh the risk against potential benefits.